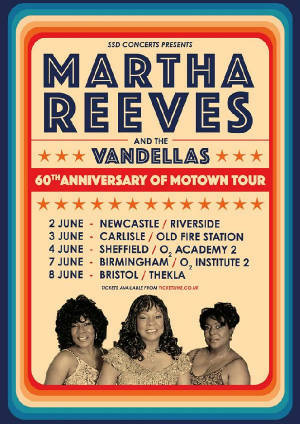 "Martha Reeves is the ultimate Motown diva with soul flowing from the tips of her toes to the last hair on her head. They don't make 'em like that anymore." Click here for tour schedule. Shows upcoming in Las Vegas, New York, Philadelphia and hopefully somewhere near you. when Martha, Lois and Delphine return for a great week of shows. Visit Martha's official FaceBook page.